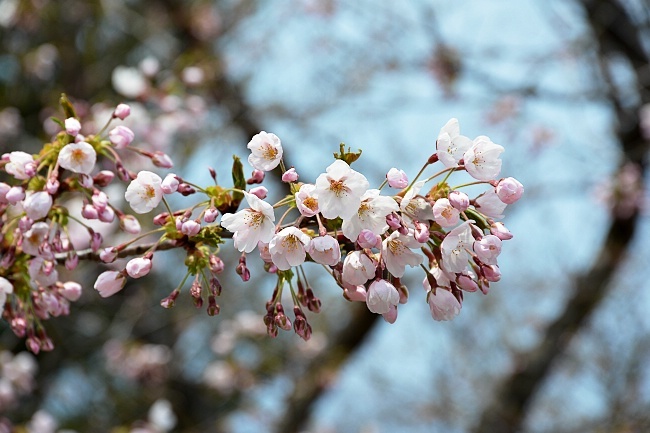 Nearly two months since the first cherry trees opened in Kyushu, this year's cherry blossom front has finally landed in Hokkaido, Japan's northernmost main island. 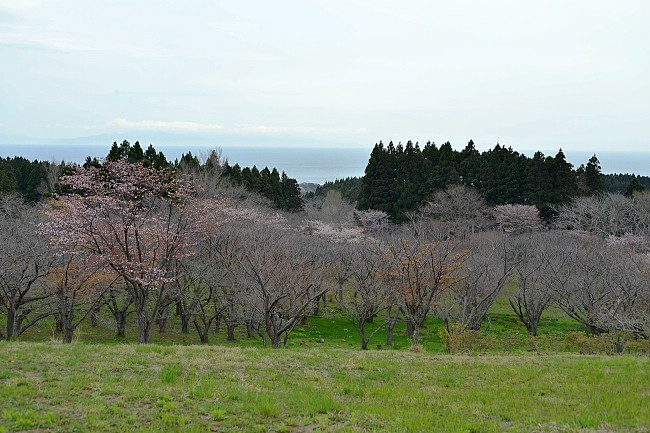 While the blossoms opened much earlier than normal across most of the rest of the country, the trees around Hokkaido are about a week later than in an average year, mostly due to uncharacteristically cool temperatures in recent weeks. Today we paid a visit to Matsumae, an old castle town on the southernmost point of Hokkaido. 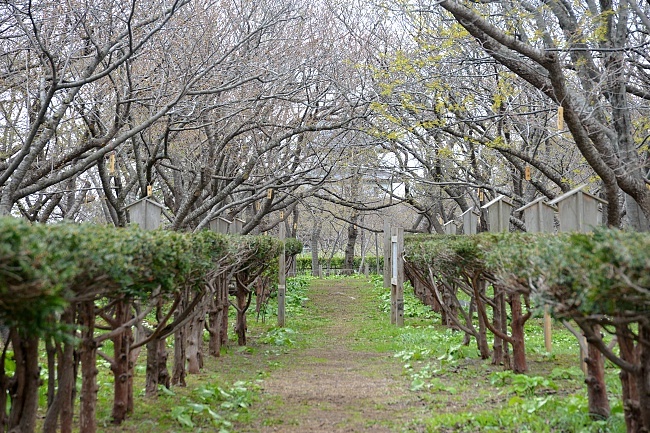 During the Edo Period, Matsumae was the only feudal fief that was established on the island and as a result it is home to Hokkaido's sole castle. 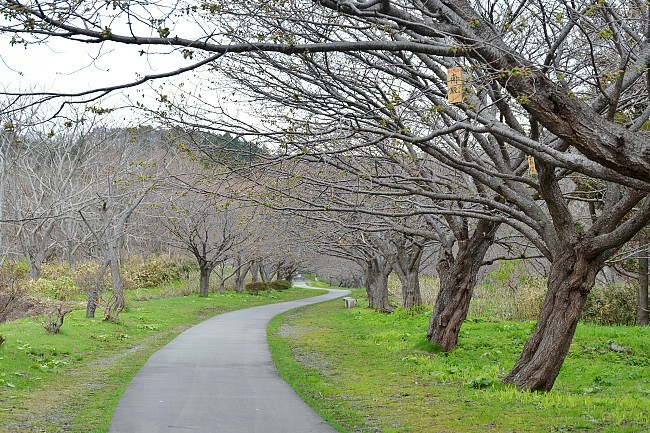 Matsumae Park is located on the former castle grounds and extends quite far up into the hills. 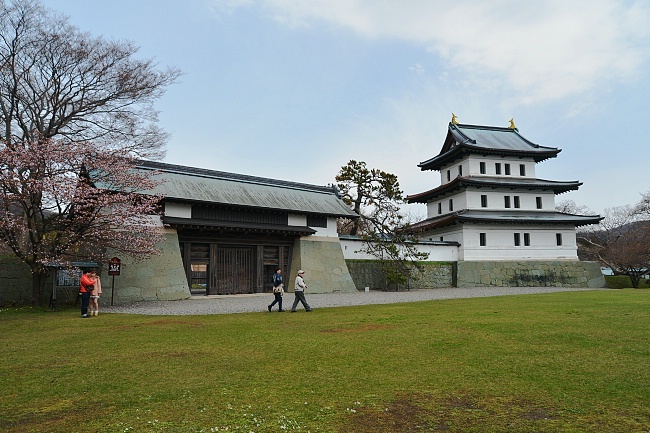 The park includes a reconstruction of the original castle keep, several temples and museums, and a reconstructed Edo Period village. 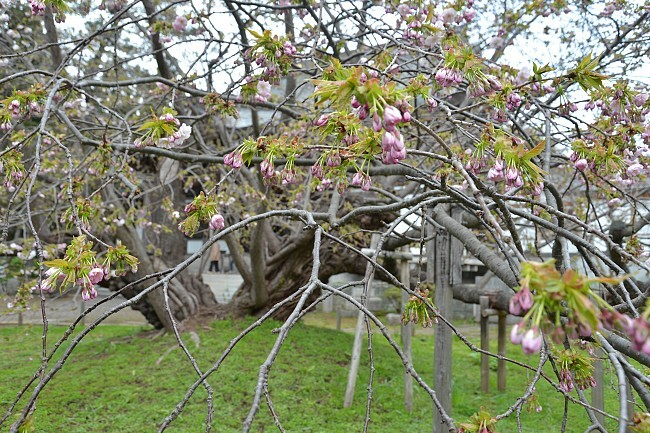 While the usual Somei Yoshino cherry trees are present, the most numerous species found around the park are the local Naden Zakura. These progress on a similar schedule as the Somei Yoshino and both only just opened a few days ago on May 6th. Overall the trees were still in the very early stages today and probably won't really fill out until later this week. There is a huge range of cherry trees planted around the park that includes over 10,000 trees of around 250 different varieties. 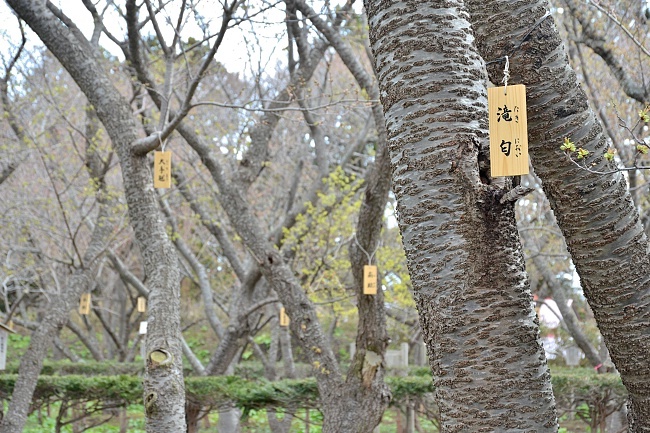 Many of these are located in two special groves that serve as repositories for hundreds of different types of cherry trees. 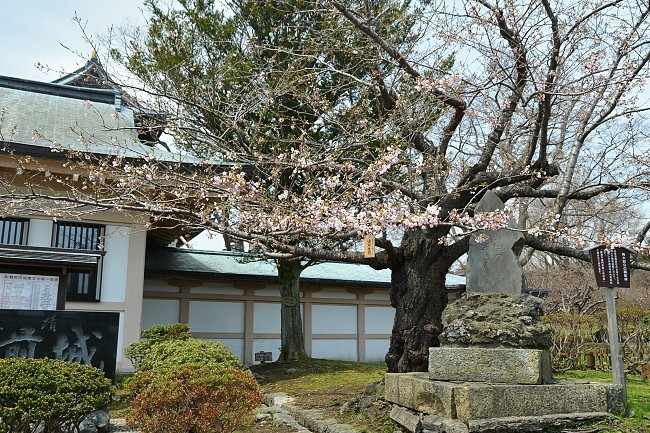 Consequently, there is a long cherry blossom season around Matsumae that usually extends from late April to late May. 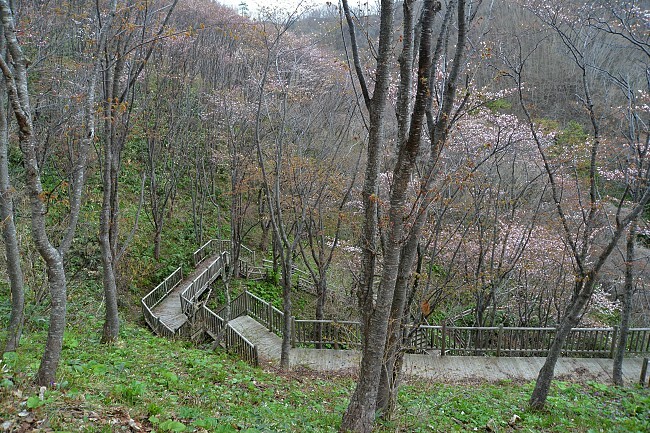 There are also a lot of later blooming trees around the park which probably won't start to open for another few weeks, quite possibly extending this year's cherry blossom season into early June. 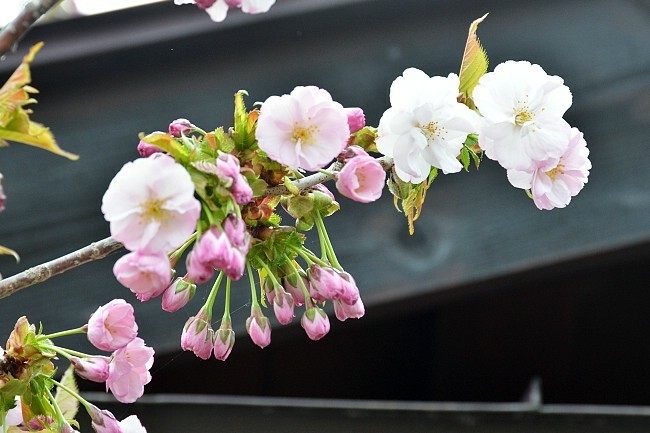 A cherry blossom festival will be held at the park until May 19, during which time several special events and performances will be held and food vendors and festival games will be set up around the park. 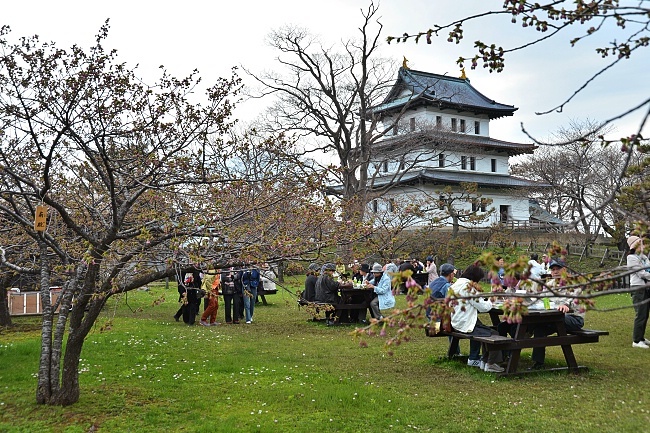 In the evenings the cherry trees around the castle keep will be illuminated until 21:00. Matsumae is not accessible by train. Instead, there are buses between Matsumae and Kikonai Station (1.5 hours, 1220 yen, one bus every two hours), and two daily direct buses between Matsumae and Hakodate (2.5 hours, 1990 yen one way, 3420 yen round trip).